If you’ve ever been around someone who has worked in retail or a restaurant you may have heard them talk about staying late or coming in early for “inventory day”. This day, usually once a month, is set aside to take count of current items in stock and see what needs to be re-ordered. For a business, having the right inventory is vital because having too much stock means you have more that needs to be sold and not having enough means your customers will not get the goods they need and you become unreliable as a business. 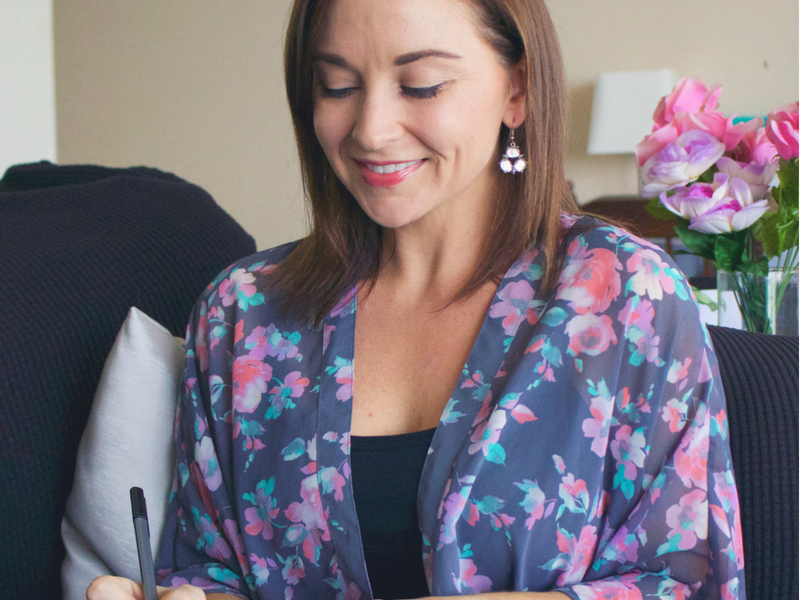 While I don’t think you should completely run your household like a business, there are certain aspects of business that can be applied to help you stay more organized and save money. One example is to implement an inventory system in your home to reduce waste, stay organized, improve meal planning, and make weekly grocery shopping much more efficient. Yesterday I posted a little snippet on my *Insta-stories of my inventory creation process and I got a lot of responses like, “How does that work?” and “That must take a long time.” It is actually very simple and in total took only a couple of hours which included deep cleaning my fridge, freezer, and pantry. *Psst! You can still see the snippet of my Insta-story on the Ideas highlight on my Instagram profile. The first thing I suggest is taking everything out of your fridge or pantry and do some deep cleaning. Throw out expired or stale foods. Wipe down all surfaces to create a clean slate. Now you can begin creating your inventory. I think it’s best to create your list with items in alphabetical order to make it easier to know if you have a certain food. The absolute easiest way to do this is to bring your laptop, ipad, or phone to the kitchen with you and enter in the items into this website https://alphabetizer.flap.tv/. You can just type the foods list style as you put them back into the fridge or pantry and then at the end click the Alphabetize button and viola, you have your perfectly organized and alphabetized list. You can then copy and paste the list into a Google doc or Word doc. I like to maximize page space and put the list into two columns as seen below. I was able to fit all of the items in our fridge and pantry on 1 sheet of paper each. As you can see I printed the inventory and then posted it on the fridge. The idea is that when we use something we cross it off the list so we know to buy more on our next grocery run. If you don’t have access to a printer you could always just hand write the list. It might take a bit more time but it will still get the job done. If you have kids who can read this might also be a helpful tool in teaching them about household organization and grocery shopping. If you’re a parent let me know if you think this would be a good learning tool for your children! So far I am calling this organization project a success as it made yesterday’s grocery run super quick and I ended up spending less money! It also helped me be more mindful of the foods we are consuming and noticed a few canned items in our pantry we have been neglecting (sliced mangos, pineapple, beans, sliced beets). One of my goals this week is to incorporate those items into my meals. Let me know what you think of my inventory organization idea and if you would like to see more blogposts or maybe a video on how I maintain this inventory and apply it to the other areas of my life I mentioned above! I hope you have an amazing motivated and organized week! Previous PostNew Weekly Haul Video!